This unbelievably soft sweater by our friends at Tutto Piccolo is guaranteed to keep boys cosy and warm when the weather gets cooler. 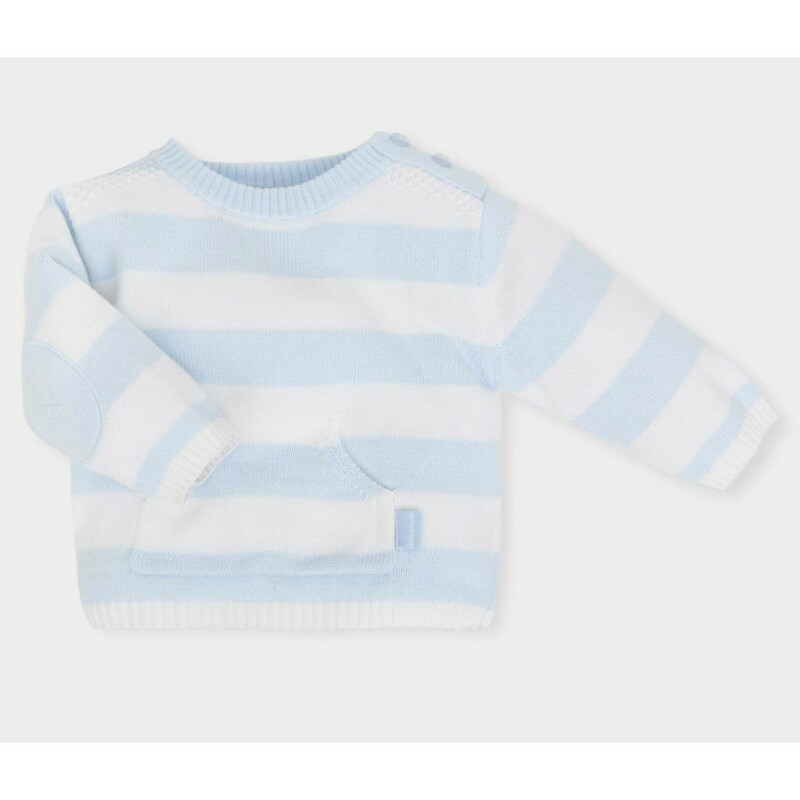 The perfect addition to any young man's winter wardrobe, it's gorgeously crafted in a knitted cotton blend, featuring bands of blue and white stripes to keep boys looking smart and stylish whilst out and about. Smart, on trend and effortless, it's a piece that will always be the first one out of the wardrobe this season. We love the timeless design of this piece that makes it effortlessly stylish, and ensures that it is guaranteed to turn heads this Winter. It's a great go-to for the colder months, as it's both comfortable on the skin, and exceptionally easy to wear. It's a versatile piece that can be easily mixed and matched for either smart or casual wear.